Part number for reference: GFU2103. Tyco Part Number:V23074-A1401-X53. Genuine 5-Pin Black with Green Line Relay / Multi Purpose Relay. MINI R50 (09/2000 — 11/2006). MINI R53 (09/2000 — 11/2006). MINI R56 (10/2005 — 08/2010). MINI R56 LCI (03/2009 — 11/2013). Part number for reference: YWB10012. Classic Mini Multi Function Relay SPI>. MG Rover 75 / MGZT ZT ZTT Petrol / Diesel ( Fuel Pump / Headlamp Wash / Reverse Lamp / Light Relay cars From 2003 Serial / VIN Number 279844 up to 2004 Serial / VIN Number 319120 ). Lucas SRB113 33243 relay. Authorised UK Distributor of Lucas Electrical Parts. LAND ROVER. MGF / MG TF / Rover / Mini Landrover Multi application red relay YWB100790. Fuel pump relay / Relay normally open. suits all MGFs & MG TFs & most Rovers & Minis. We are a specialist MGF / MG TF parts supplier. 12v Indicator Flasher Unit. 1500, 1600 & Twin cam. will run 2 x 21watt Indicator Bulbs 5 watt Stalk bulb. 35010A FL5 12v 42w Plug or bracket fixing, Screw connectors. It should not be altered / tampered with/used. MGF MG TF ROVER MINI Relay YWB000440. Heated Rear Window / Multi Function. We are a specialist MGF / MG TF parts supplier. Parcel must be signed for. MGF / MGTF > 03. We have hundreds NEW, USED AND REFURBISHED parts ready for dispatch. HEATED REAR WINDOW. ROVER MINI. OPENING HOURS. Dispatch is within. MG ROVER MGF TF PETROL TANK FUEL PUMP. 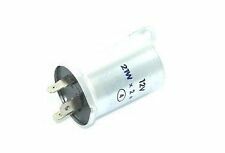 Tyco Part Number:V23074-A1401-X53. Made in:Portugal by tyco. MINI R50 (09/2000 -11/2006). MINI R53 (09/2000 -11/2006). MINI R56 (10/2005 - 08/2010). MINI R56 LCI (03/2009 -11/2013). MINI Clubman R55 (10/2006 - 07/2010). 12v Indicator Flasher Unit. will run 2 x 21watt Indicator Bulbs 5 watt Stalk bulb. 1500, 1600 & Twin cam. 35010A FL5 12v 42w Plug or bracket fixing, Screw connectors. ~easy to fit and wire~. Check out the. Green relay,YWB10032. Rover 45,MG ZS,1999 on. Checked before removal and OK. Other used Rover parts available. MGF / MG TF / Rover / Mini multi application Yellow Relay YWB10012. We are a specialist MGF / MG TF parts supplier. Heated Rear Window / Fog Lamp / Front Fog Lamp. Genuine MG Rover Heated Rear Window/Multifunction Relay. MG Most Models from (1998-2006). Genuine4 Pin Yellow Relay / Multi-Use Relay. Land Rover Freelander-I MK1 (1997-2006). Made ByMG Rover. 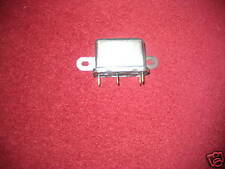 Rover 75 / MG ZT ZTT 2.0 CDT DIESEL GLOW PLUG RELAY WHITE NO CORROSION SEE PICS. Condition is Used. Dispatched with Royal Mail 2nd Class. fd0100010 Other Sensor Mg Zr Rover 25. Condition is Used. Dispatched with Royal Mail 2nd Class. MG TF 2002 1.6l. 1x Yellow Relay. UK cars are right hand drive.again I take no responsibility for any muddle up with Left Hand Drive Cars. Good cond. This is from a U.K. Car. Genuine Rover part in good used working condition. All our parts are checked they are complete and working before sending. We have a wide range of vehicles and parts on site. Need it fast?. No Problem. We are based in Northern Ireland in Co Armagh. Established in 2013. NOT HAPPY?. - let us know so we can fix it. Relay - 53988076B. MG TF 2002 1.6l. UK cars are right hand drive.again I take no responsibility for any muddle up with Left Hand Drive Cars. Relay - YWB101210. MG TF 2002 1.6l. UK cars are right hand drive.again I take no responsibility for any muddle up with Left Hand Drive Cars. MG Most Models from (1998-2006). Genuine5 Pin Green Relay / Multi-Use Relay. Land Rover Freelander-I MK1 (1997-2006). Made ByMG Rover. MG ZS 180 (2001-2005). Yellow Relay. Changed your mind?. MG TF 2002 1.6l. 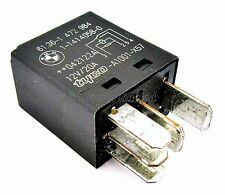 Relay ECU - YMC001200. UK cars are right hand drive.again I take no responsibility for any muddle up with Left Hand Drive Cars. MG TF 2002 1.6l. 2x Yellow Relay. UK cars are right hand drive.again I take no responsibility for any muddle up with Left Hand Drive Cars. MG TF 2002 1.6l. Relay - V23134-B52-X150. UK cars are right hand drive.again I take no responsibility for any muddle up with Left Hand Drive Cars. MG ZS 180 (2001-2005). Green Multi Use Relay. Changed your mind?. PART NUMBER YWB10012. MG ROVER 25 45 75 FREELANDER Multi Purpose Yellow Relay. This ad is for 1 RELAY. All parts are tested where possible. We use security warranty sticker for all our item. they will have marks. Kindly Read The Given Information CareFully Because You Are A Valued Customer And I Appreciate Your Business.​​ Is This The Right Part For Your Vehicle?​ Before Committing to " Buy it now ", It Is Buyer's Responsibility To Double Check His Own Part Visually And Match This Part Number (YWB000430) And To Ensure The Part Will Fit His Car. Image/Photo. Item Will Come As Pictured. Mouse Over Image To Zoom. (Office.Ref MA508.) Condition. Condition/Comes as pictured. Please Expect Storage Marks such as scratches, corrosion, paint flakes etc. Item Fitment.​​ The Actual Item will fit MG ZR 2003-2005 2.0 TD 5DOOR HATCHBACK. Contact Us.​ Please Provide Your Contact Number At Checkout. If you are not satisfied with something Just write us a message On eBay. Security Mark. PART NUMBER YWB101210. This ad is for 1 RELAY. All parts are tested where possible. We use security warranty sticker for all our item. they will have marks. ALL PARTS ARE USED. 12v Indicator Flasher Unit. 1500, 1600 & Twin cam. will run 2 x 21watt Indicator Bulbs 5 watt Stalk bulb. 35010A FL5 12v 42w Plug or bracket fixing, Screw connectors. VOLKSWAGEN SINGER TOYOTA NASH STANDARD 13872 28990 28991 28989 13870 13871 13869 13865 13868 13867 13866 16621 16622 16623 16997 18435 18434 16605 16604 16606 15941 29914 16608 16609 15946 15942 28008 29915 18748 18749 18741 18740 18621 15947 15943 18836 18354 18744 18743 18742 18622 16345 16344 18837 18355 18747 18745 18746 29879 4895 4894 29881 29880 4897 4896 4898 13877 13878 18227 13901 13902 17006 4899 13864 4901 4900 13873 13875. 35010A FL5 12v 42w Plug or bracket fixing, Screw connectors. 12v Indicator Flasher Unit. 1500, 1600 & Twin cam. will run 2 x 21watt Indicator Bulbs 5 watt Stalk bulb. VOLKSWAGEN SINGER TOYOTA NASH STANDARD 13872 28990 28991 28989 13870 13871 13869 13865 13868 13867 13866 16621 16622 16623 16997 18435 18434 16605 16604 16606 15941 29914 16608 16609 15946 15942 28008 29915 18748 18749 18741 18740 18621 15947 15943 18836 18354 18744 18743 18742 18622 16345 16344 18837 18355 18747 18745 18746 29879 4895 4894 29881 29880 4897 4896 4898 13877 13878 18227 13901 13902 17006 4899 13864 4901 4900 13873 13875. 35010A FL5 12v 42w Plug or bracket fixing, Screw connectors. 12v Indicator Flasher Unit. 1500, 1600 & Twin cam. will run 2 x 21watt Indicator Bulbs 5 watt Stalk bulb. Check out the. NOT included.